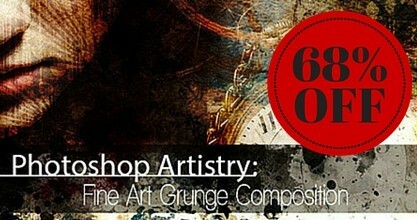 Learn to create rich, intricate, layered compositions fit for fine art prints and canvas. Get in now with lifetime access and snag over 7 gigabytes of pro-designed bonus content. Compatible with ANY version of Photoshop (or even Elements). Grab this SnapnDeal quick, because this is your last chance at this discount! Go From Merely Editing Your Photos To Creating Awesome Photo-Art Compositions Fit For Fine Art Print and Canvas. 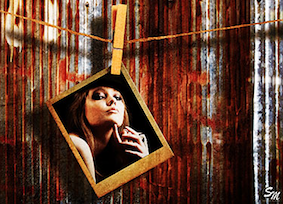 This Photoshop Artistry course (fit for beginners and experts alike) is going to change how you see your photography and how you approach your work as a serious artist. The techniques you learn will enable you to create compositions that will amaze your clients and your colleagues, and they will open up to you a whole new world of rich imagination and invention. Now and then a course comes along that does more than just teach you a few tricks … Now and then one comes along that can truly change your life. This is that course … and right now you can get in at a stunningly low price. Tap into your creativity in ways you never have before, beginning with the images you capture and the ways you look to incorporate them in your work. 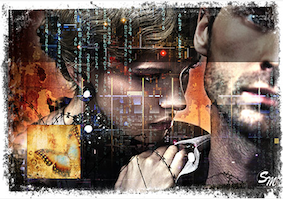 Learn a wealth of techniques for taking your digital images and transforming them into elaborate, multi-layered artistic compositions. 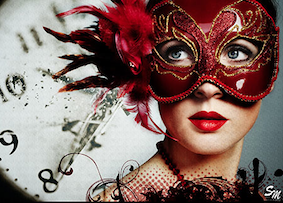 Master pro-level approaches to Blend Modes, Layer Masks, Adjustment Layers, Shape Layers, and creative Typography. Learn to employ vector graphics, custom brushes, and artistic edge effects to give your works a supremely artistic and professional feel. Huge Library of Textures, Overlays, and Backgrounds (including exclusive high-res content from all the top professional designers, complete with commercial licensing so you can add it to works you sell). Awesome Grunge Custom Brush Library and Layered PSD Edge Effect Arsenal (providing you with literally hundreds upon hundreds of variations you can add to your work with a few clicks). Mammoth Library of Exquisite High-Res Vector Graphics (commissioned from professional designers around the world for thousands of dollars, but which you will be able to enjoy for free). Superb Set of Handy Cheat Sheets (making it incredibly easy to master the techniques and shortcuts employed throughout the course, so that you can become quick and adept at creating art on the fly, almost effortlessly, without having to stumble through trying to remember the steps). Join over 10,500 other students around the world in our elite Facebook group and Flickr group, sharing your work and finding inspiration in the work of others. Take part in the exciting “Weekly Challenges,” which will spark your creativity and push you to employ all of the fantastic techniques you are learning in the course. See your work not only beautifully rendered within your own gorgeous online portfolio, but actually displayed and sold in gallery events around the world. 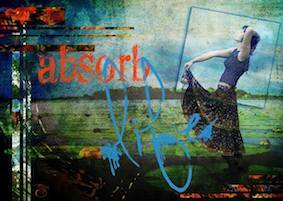 Also: this course works with all modern versions of Photoshop and even with Adobe Elements! Any version of Photoshop CS can be used with this course, and all a few techniques apply just as easily to Elements as well. PDF Cheat Sheets are supplied throughout, often for both programs. And when Elements has a different approach, there is often a separate video covering just that. Enjoy the camaraderie of fellow students and artists in the exclusive online course forum, where you can ask questions, jump in on collaborations, pick up tips and inspiration, and even have your work critiqued. You just don’t come across a Photoshop course like this every day. Take action and sign up now. This is going to be the most exciting thing to happen to you in years. It’s going to completely transform how you see the world and how you approach your photography, and it is going to inspire you to create the greatest images of your life. “Your course is justblowing my socks off!!!!! Thank you so much.” — Mitchell G.
“This course is incredible. Your expertise and enthusiasm shines through every video. I’m delighted.” — Ann P.
This SnapnDeal is 100% Guaranteed for a Full 60 Days. You Have NO Risk. You Get Lifetime Access to the Content and Bonuses – You Can Watch the Videos Any Time, As Often As You Like. You Will Enjoy a Fully Secure Check-Out (with PayPal or Credit Card), So It Is Totally Safe.